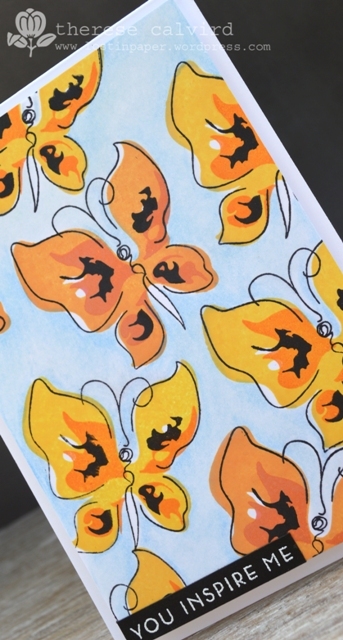 When the Australian Cardmaking, Stamping & Papercraft magazine asked if I wanted to be part of a Stamper’s Challenge that involved me playing with Altenew’s Painted Butterflies I couldn’t reply ‘Yes’ quick enough lol. And I wasn’t disappointed, I can’t tell you how much I enjoyed getting all inky with these stamps, they are Brilliant! 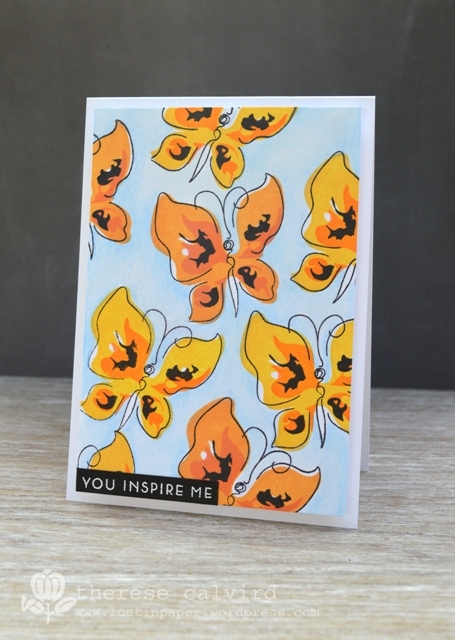 You Inspire Me – Other Supplies: Prismacolor Pencils Powder Blue, Light Cerulean Blue. 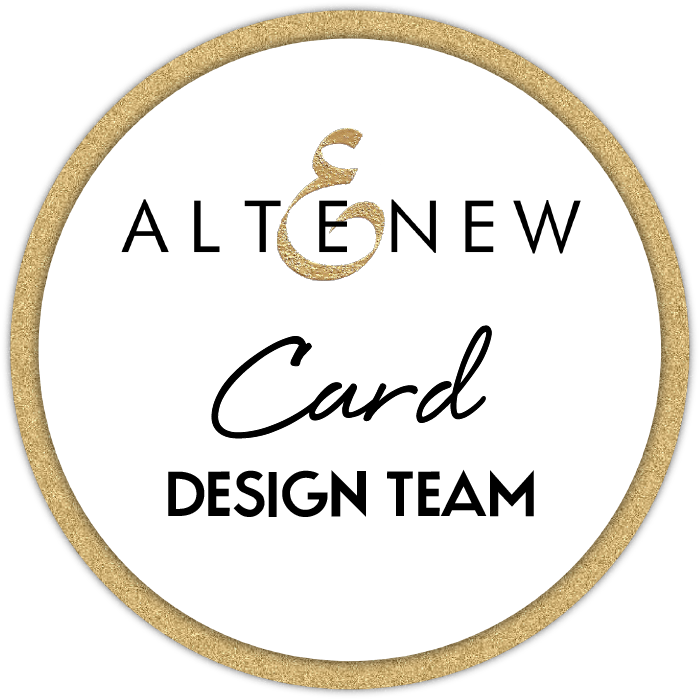 < Previous Video : By Request – Finding Inspiration in Cardmaking! Next > Video: Highlight stamping and Dreaming of Superstardom! Love both cards, very pretty. I love how you played with the butterflies, Therese! Two fabulous cards! both of these are gorgeous.. i really love that first one..
Awesome…………..such a little word to appreciate your creativity. Those butterflies are wonderful!!!! Wow, Therese!!! Your cards are stunning! Love the splatters and your beautiful colors on the second one, too! 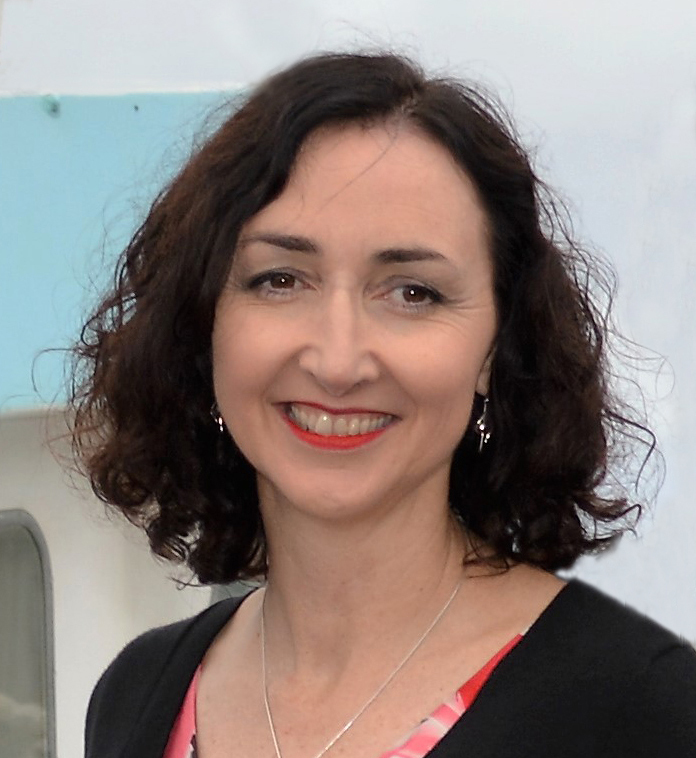 Simply amazing and so inspiring Therese! Both are beautiful, Therese! 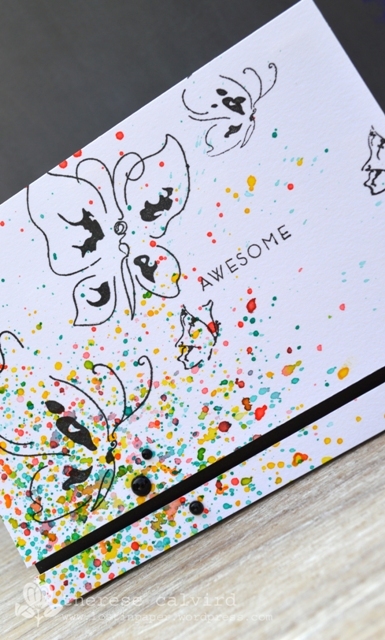 I really LOVE those splatter dots on the first card! 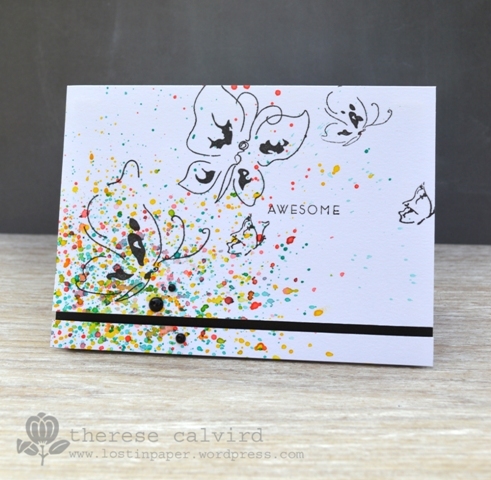 What to say but, “WOW!” I love that dramatic burst of colors on your first card! Was that just one try to get it so perfect? I love your stamping on the second card too. The magazine knew what they were doing when they called you; these are both gorgeous! Love what you did with this stamp set! They where smart enough to ask you ha ha, my favorite is the first one. Love the splattering of colour!! What a cool card and I love that set! Ooooh, pretty, so very pretty pretty. I love how different they are but both are so lovely. Beautiful cards!! I love those butterflies too (they are on my wishlist). Love all that ink splatter, would have been so much fun to not be controlled with colouring. And the pretty orange/yellow colours for your second card make me wish Summer would come more quickly!! Okay, you’ve made me want to go dig out this stamp set. It has been severely neglected but these gorgeous creations have inspired me! Looks like you had fun making these cards. Lovely stamps.